No compromises. There are some books that you can judge by their cover. Today, one can't really know fashion without knowing Oribe. For more than three decades, celebrity hairstylist Oribe has collaborated with the world’s top fashion photographers and creative directors to create iconic, trend-igniting looks. The experience of using your product should be just as beautiful as the formula itself. With attention to craft and nuance, Oribe's carefully curated product hair line launched in 2007. Based on truly original formulations with the finest ingredients that protect hair from environmental stressors while providing maximum styling flexibility and a beautiful texture. Elevated, sophisticated. These are the products of the hair-obsessed. These are the products that your skincare routine has been crying out for. This is the makeup that will bring your face to life. 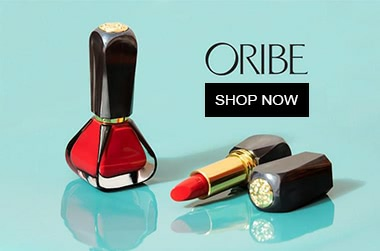 Adore Beauty is an official stockist of Oribe. Free standard Australian shipping on all orders. Showing 20 products of 116. I do love everything about Oribe. My hair has never been healthier or smelt as good. Their products are expensive but if you can indulge then it is definitely worth it. I tried this in the travel size first but I would definitely buy in a full size. A little product goes a long way as I have fine hair, there is a lighter version of this specifically for fine hair so I'd recommend that. I does make your hair very soft, don't really know that it made a big difference on shine but I loved how it made my hair feel. I have thin fine hair so finding volumising products that don't weigh down my hair is difficult business. This worked very well for me, though I HAVE to wash my hair the next day after using it. It has a strong but refreshing scent when sprayed that lingers softly on the hair. The spray force is magnificent, so I'd suggest to use it pre styling for intricate hair do's.